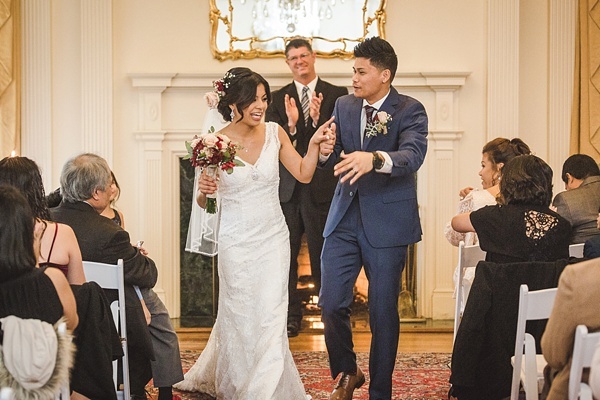 When you read that their first meeting story is a breakdancing workshop in Hawaii that turned into a group dance performance in Maui where they got to know each other better beyond their cool moves, you know there's a fun couple behind it! 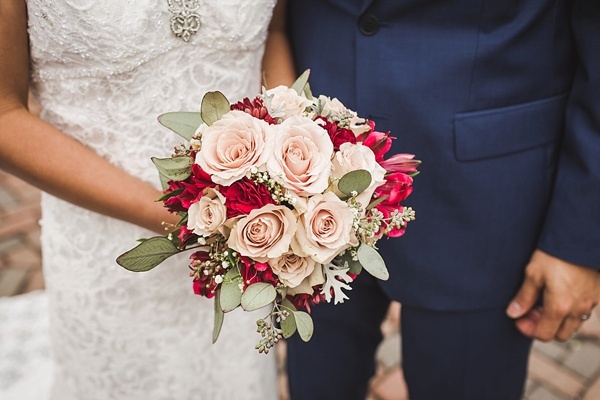 Because of where they met and grew up, Moriah and Jon Jon thought there was no question that they were going to have our wedding back home in the Aloha State, but within six months of planning, things took on a different spin as date changes swirled around family members, wedding team choices, and guest list additions. 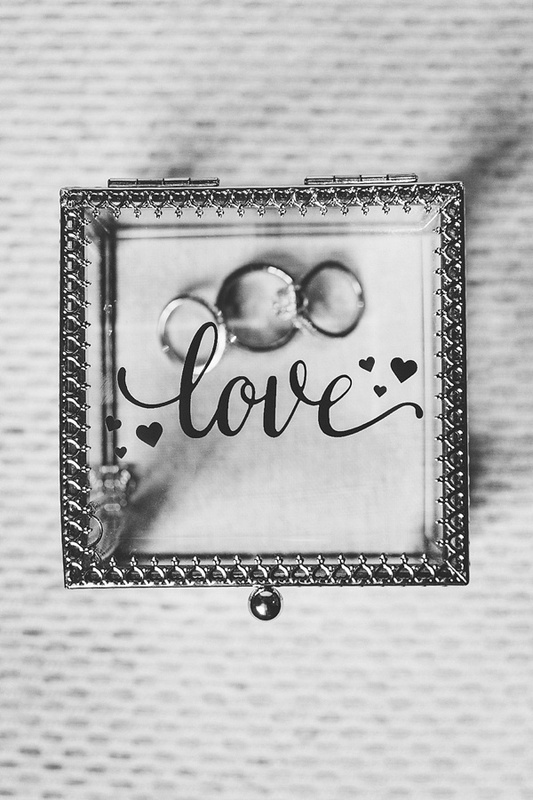 Needless to say, this bride and groom took a step back to refocus on what and who their wedding was all about. 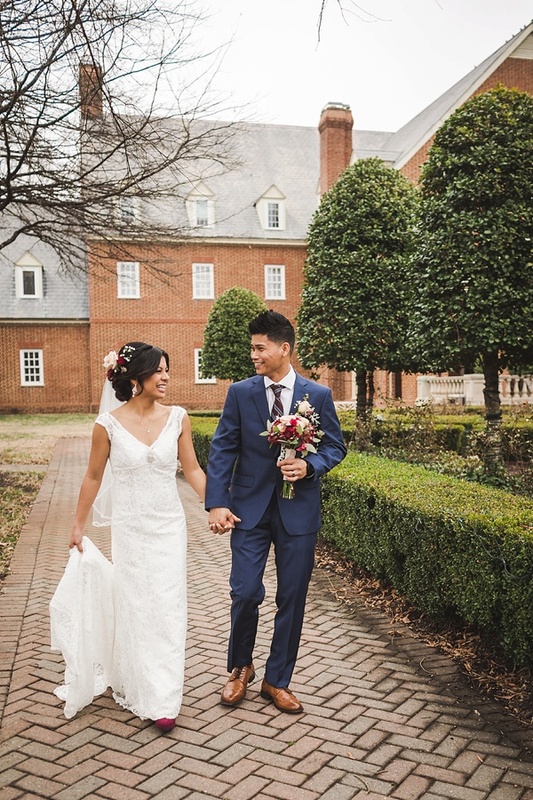 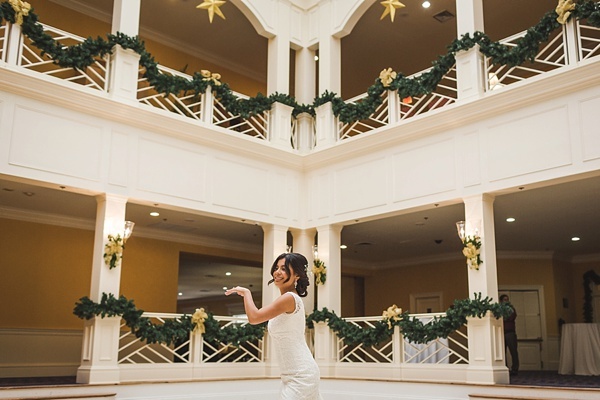 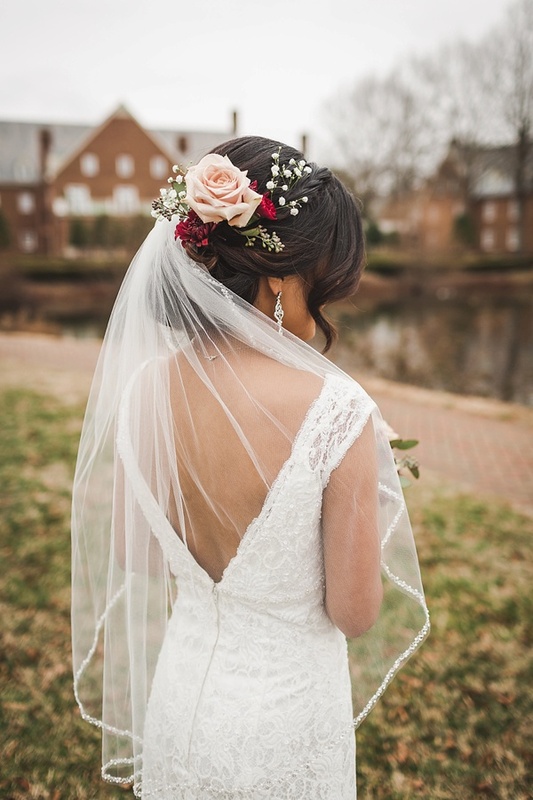 After months of prayer and realization, they decided to cancel their Hawaiian wedding plans and relocate it to Virginia Beach at Founders Inn with just their immediate family and some close friends. 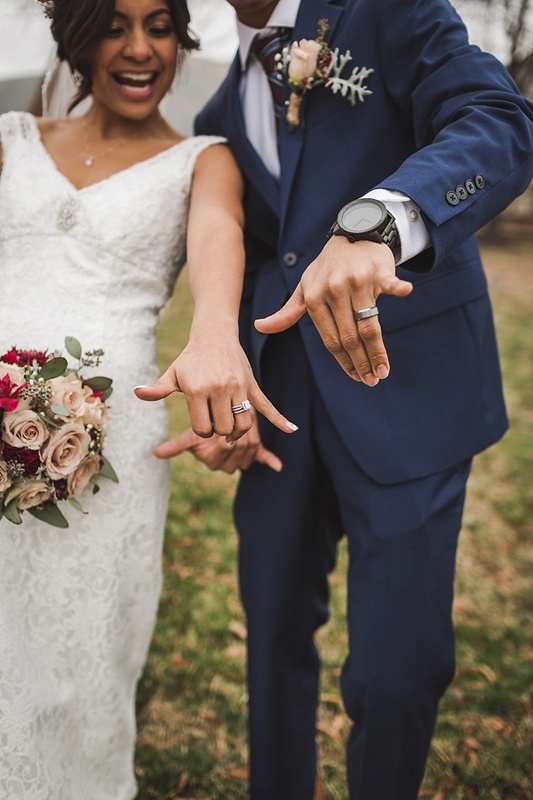 But that didn't mean they didn't bring Hawaii to them! 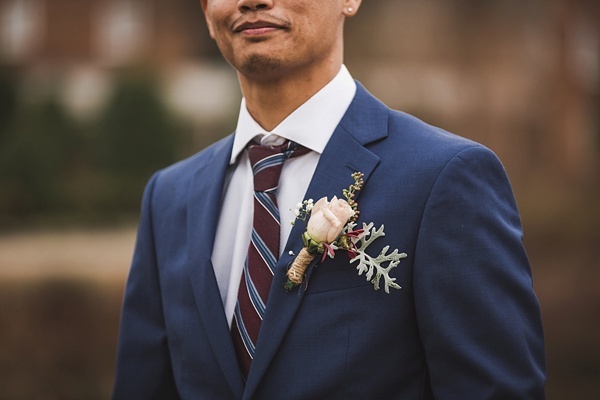 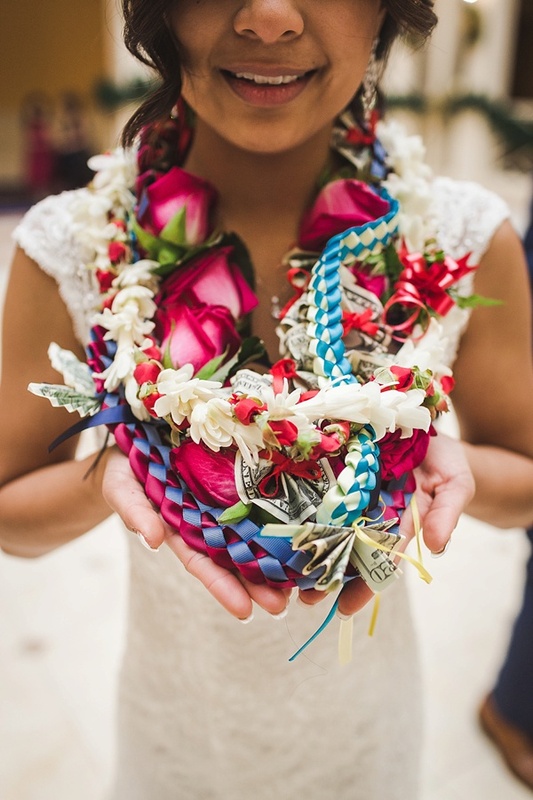 Jon Jon wore a Maile-style Ti Leaf Lei Twist lei wrapped with white tuberose that was shipped directly from the islands while Moriah performed a beautiful hula dance for her groom to the Hawaiian/English duet, "E Ku'ulei My Love" by Kuana Torres and Maila Gibson. 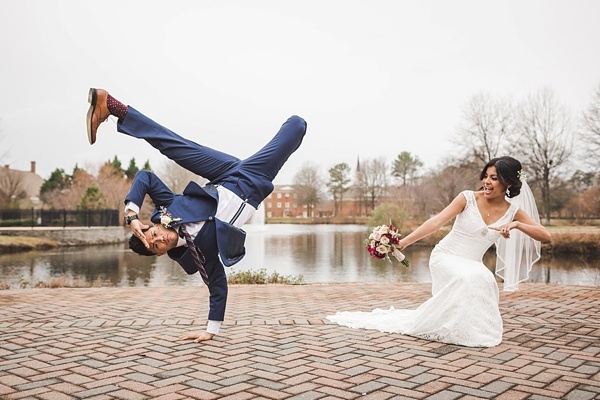 Captured by The Girl Tyler, these two lovebirds' joy is palpable and makes us desperately wish we had the rhythm and skill to do an epic one-armed handstand like this rad groom. 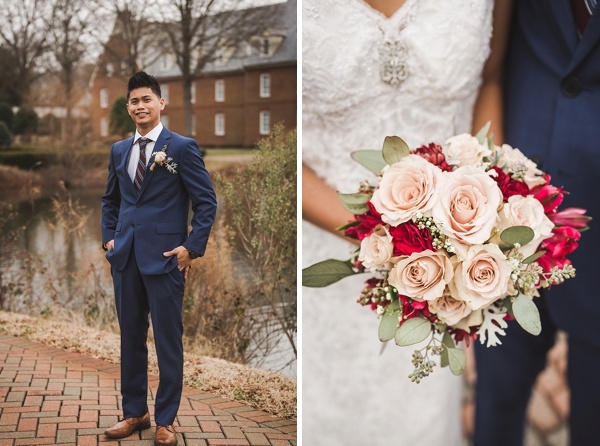 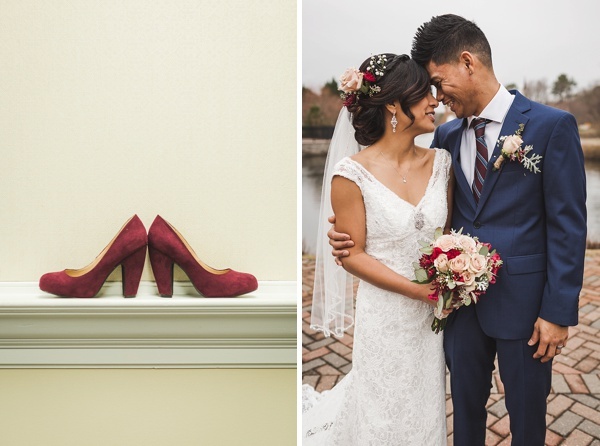 In Moriah's own words, we loved the reminder that "whether it's a huge wedding, a small one, or even an elopement, just recognize the common thread - a union between two people who love each other."